Type of Microgrid Project: Which One is Right for Your Operation? So you’ve decided that your operation needs a microgrid. But what type of microgrid? Answering that question isn’t always easy because microgrids come in many different permutations, often customized to the business, factory, hospital, university, community or other operation they serve. But they do fall into certain broad categories, sliced and diced in various ways, including by type of grid connection, owner, developer and fuel, as well as purpose, function and sophistication. As part of our About Microgrids series, this article explains some of the various categories. 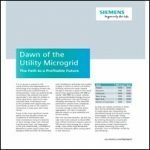 Understanding what’s available will help you identify the type of microgrid right for your operation. Microgrids are categorized most broadly by their grid interface, of which there are two choices. A microgrid is either grid connected or remote (not linked to the grid). Remote microgrids often are found on islands or in isolated areas of the world which lack a central utility grid — or at least one that is reliable. You’re likely to find remote microgrids in rural Africa, the Himalayas, islands, military combat zones and other isolated locations. Remote microgrids operate independently; they rely solely on their own generators to keep the power flowing to customers. Grid-connected microgrids, on the other hand, can work with a central grid. They have the choice of taking service from the grid or using their own internal generators to serve their customers. An advanced microgrid controller, the brain of the system, “decides” at any given moment which energy source is most advantageous, given moment-to-moment change in electricity pricing, resource availability (e.g. Is the sun shining on solar panels?) and other factors. 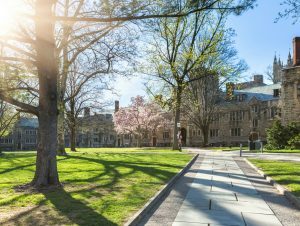 These decisions are based on programming priorities set by the microgrid owner. For example, if the owner is trying to achieve climate goals, the microgrid will seek the mix of available energy resources that offers the lowest carbon emissions. Others might prioritize for price or electric reliability. Grid-connected microgrids offer another benefit – they can take advantage of opportunities to accrue revenue from the grid. They may sell energy and ancillary services back to the grid (depending on the regional grid operator rules). Or they might participate in utility demand response programs. A grid-connected microgrid isn’t always grid-connected. If a power outage occurs, the microgrid disconnects from the central grid. This is called “islanding.” The microgrid relies on its own generators and perhaps an energy storage system, until the power outage is over. At that point it reconnects to the grid. If the microgrid has an advanced controller, this all happens with no human intervention. Customers will be unaware of any change. Given the many benefits of having a link to the grid, it’s not surprising that most microgrids in the lower 48 U.S. states are grid connected. Microgrids can employ many different forms of generation. Within their geographic footprint some have solar, batteries, combined heat and power, diesel and natural gas generators. Each is coordinated to turn on and off based on the microgrid’s programming. Others are far simpler, perhaps using only one or two types of energy, like a natural gas generator, or solar plus a battery. Microgrids also may serve one building or many buildings. The number of generators they employ and the number of customers they serve typically defines where they are on the scale of advanced to basic. Those just beginning to consider what type of microgrid they want often focus on fuel type. This especially true of customers trying to achieve sustainability goals. So the industry often describes microgrids in terms of fuel. Thus, we have solar microgrids, solar plus storage microgrids, wind microgrids, CHP microgrids, district energy microgrid, diesel microgrids, natural gas microgrids, waste-to-energy microgrids, fuel cell microgrids, and others. It’s important to note that advanced microgrids typically have more than one form of energy. This is one of the things that makes a microgrid highly reliable. So a project described as a solar microgrid, for example, likely has a battery or fossil fuel generator (or both) on site as well. Microgrids also may be described in terms of their primary purpose or who they serve. A cybersecure microgrid is designed with particular attention to averting hackers. That doesn’t mean the microgrid achieves only that. 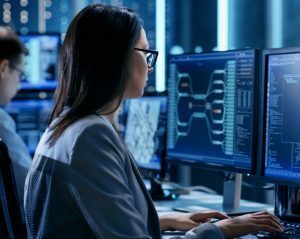 A cybersecure microgrid can — and likely will — also undertake other microgrid functions, such as ensuring reliable energy or managing electricity pricing. A community microgrid usually serves critical facilities in a town or city and often has some government funding. Its primary purpose is to ensure power to services that people can’t live without for an extended period of time. These include hospitals, police and fire stations, shelters, grocery stores, gas stations, waste and water treatment facilities and communication infrastructure. Commercial and industrial (C&I) microgrids are among the fastest growing. As the name implies they are built for businesses, often via private funding. C&I microgrids serve manufacturers, office parks, retail and grocery stores, data centers, and any other business that wants to avoid power outages, manage energy efficiently and reduce energy costs. Microgrids can be stationary or mobile. Most microgrids stay in one place. But the military sometimes employs mobile units that it can move from base to base in war zones. These tend to be relatively simple solar plus storage units that can be constructed onsite quickly. “Modular microgrid” is another term increasingly used. This describes microgrids designed to be gradually expanded over time in a Lego fashion. Microgrids sometimes take their name based on who owns or develops them. Thus we have military microgrids, utility microgrids, campus microgrids and institutional microgrids. This is just a sampling of the types of microgrid projects available. The market continues to differentiate as it grows. Microgrids are now described, for example, in terms of the kind of financing they offer, as in reliability-as-a-service microgrids. There are also direct current and alternating current microgrids, virtual microgrids, blockchain microgrids, residential microgrids and others. We invite you to contribute examples in the comments section below. 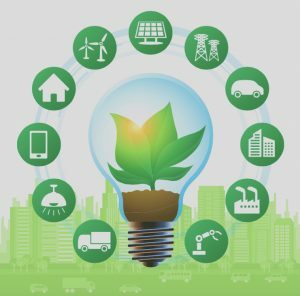 What type of microgrid might be right for your operation? Learn more by attending Microgrid 2018. A Microgrid should only consist of Renewable energy power generation units . the turbine a 180 degree turn.